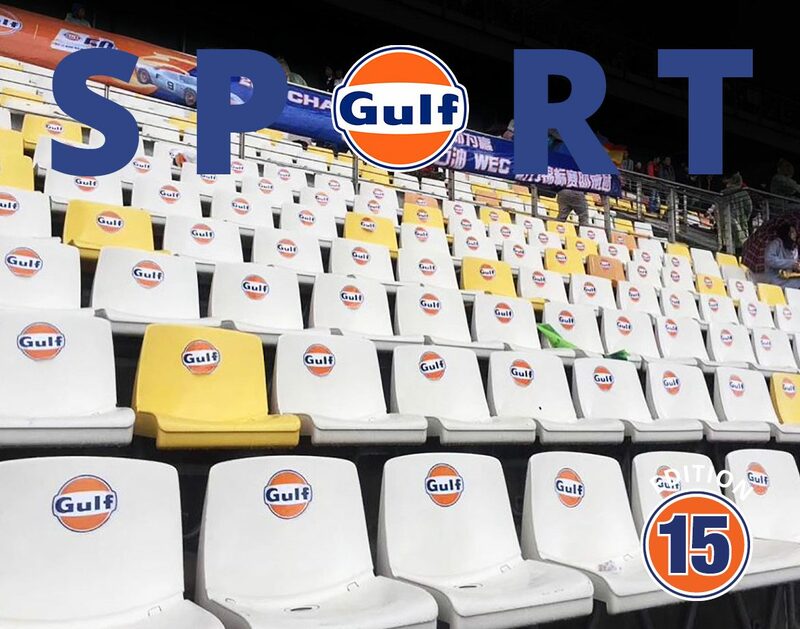 It has been both an exciting and significant month from a Gulf Sporting perspective as we are able to report on Gulf success in various sporting arenas – as well as some great activation initiatives in several different parts of the world and some new partnership activity. 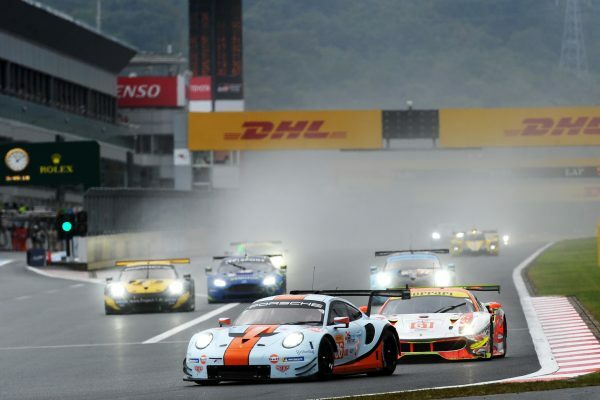 The WEC SuperSeason, which started in April and runs over into 2019, with its climax at Le Mans next year, has just staged its annual race in Shanghai and Gulf Oil China used the weekend to great effect – hosting 145 guests over a real gala of a weekend. After many years of watching the ROFGO Collection develop, we have now formalised its standing as the Official Gulf Heritage Collection and, alongside its amazing collection of Gulf race cars, it too is continuing to write its own page in Gulf motorsport history with the extremely professionally run ROFGO Racing part of its enterprise. It is also a pleasure to announce the renewal of Gulf’s partnership with the Highlanders – one of the top teams in that hotbed of Rugby, New Zealand. Rugby is, to much of the Southern Hemisphere, a sport that rivals, or even outstrips cricket in its popularity and the Super League in which they play, is truly international and worthy of looking at closely for the opportunities it provides. November has already been a busy month for Gulf’s sporting partners. 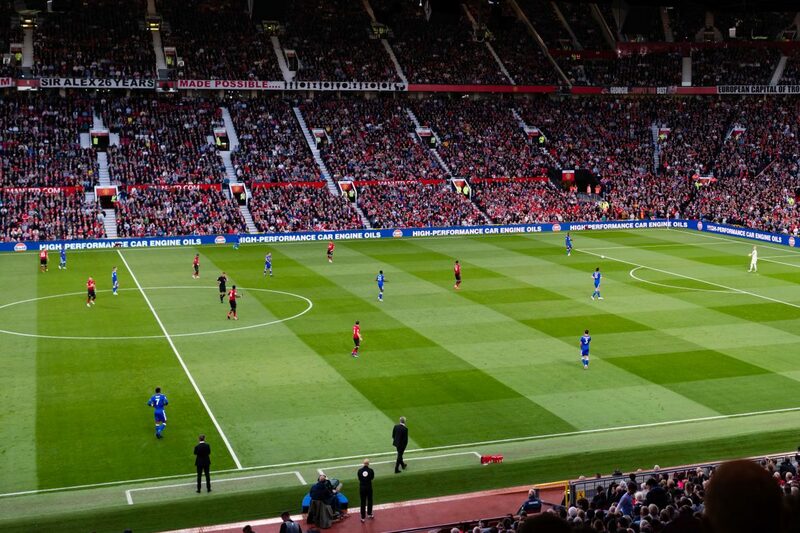 The Champions League is in full swing again with Manchester United in action. 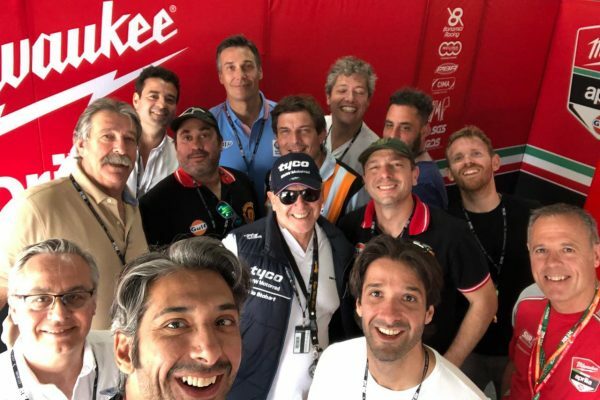 The WEC circus moved to Shanghai, while Ian King got back in the saddle of the Gulf DragRacing bike for a one-off ride against the cream of the American top fuel bikes and the motorbike racing season came to a very wet finale, with testing for next year already underway! 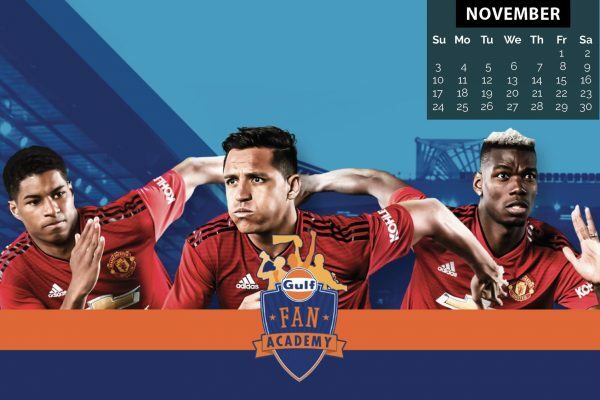 This Gulf Sport has some great examples of sporting activation. Hopefully there is much to inspire within the articles and features to help drive your business activities onwards. Wishing you good sport and good business. Manchester United will emerge from the final international break of 2018 looking to finish the calendar year off with a flourish, starting with the visit of Crystal Palace at Old Trafford in the Premier League. The Reds will look to draw inspiration from their sensational Champions League victory in Turin, beating Italian giants, Juventus to return to their recent domestic form, with a long unbeaten run, halted only by the derby day defeat to city neighbours, Manchester City. United know that the festive period of matches will be crucial, as they look to move up towards to the qualifying places for European football, next season. It was Juan Mata who scored against Juventus, with a sumptuous free-kick with four minutes left on the clock, to cancel out Cristiano Ronaldo’s superb volley earlier in the half; however, things would get even better for José Mourinho’s charges, as Ashley Young, captain on the night, delivered a teasing cross that rebounded off several players before creeping into the corner to secure the three points. United are now well-placed to progress in the Champions League and can qualify for the last-16 with a game to spare, if they overcome Young Boys at Old Trafford and Valencia fail to beat Juventus on Tuesday 27th November. Antony Martial, who is the Premier League’s current hotshot after getting himself on the scoresheet in United’s previous five domestic matches, will be looking to add to his tally in the chase to be top goalscorer this season. Team-mate, Romelu Lukaku, will also be looking to hit the back of the net, as he returns to full fitness following a brief stint on the sidelines with an injury. The close relationship between Gulf Oil International and ROFGO has recently become formalised by way of a new partnership agreement between the two operations. 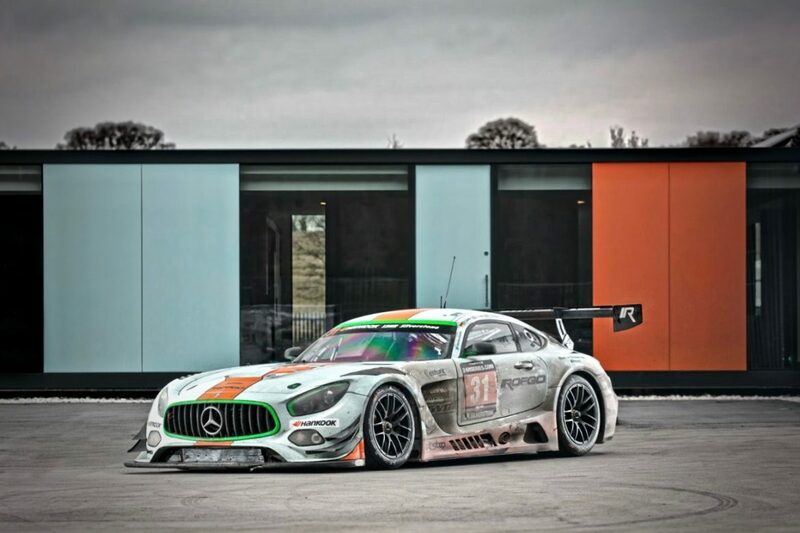 ROFGO, founded by Roald Goethe, includes the globally renowned ROFGO Collection of Gulf Cars; ROFGO Racing, the team that successfully runs historic Gulf Cars in the most prestigious events around the world and the front running Mercedes AMG GT3 car that competes in modern global endurance events as well as leading historic and competition car dealers Duncan Hamilton ROFGO. The ROFGO Collection is housed in a stunning purpose-built park location in Hampshire, one hour south of London. The same premises also house the team’s race preparation facility – shown here with the ROFGO Mercedes AMG pictured outside, after the team’s victory in the Silverstone 12 Hours – as well as the Duncan Hamilton ROFGO showroom. Roald Goethe and Gulf Oil International are excited to announce that going forward ROFGO will be recognised as the ROFGO Gulf Heritage Collection. Gulf partners, TAG-Heuer, have also signed an agreement with ROFGO and will showcase a number of TAG-Heuer watches that are period-relevant to the collection’s cars at ROFGO Park. Likewise, Gulf will supply both the ROFGO Collection and ROFGO Racing with the relevant lubricants for their needs, including Gulf’s Classic lubricant range. 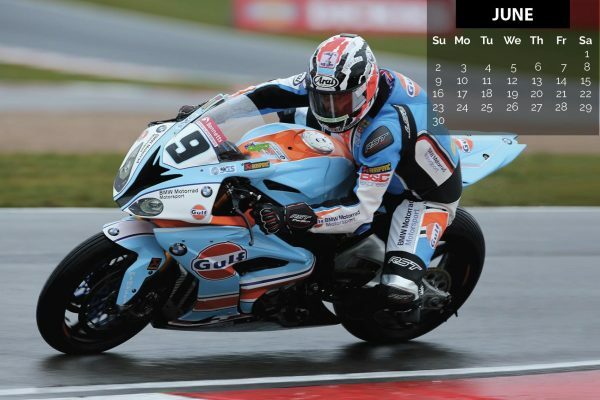 The ROFGO Collection continues to grow and it recently acquired one of the Gulf BMW Road Racing team bikes that were ridden so successfully by Davo Johnson on Gulf’s debut in the Isle of Man TT this year. 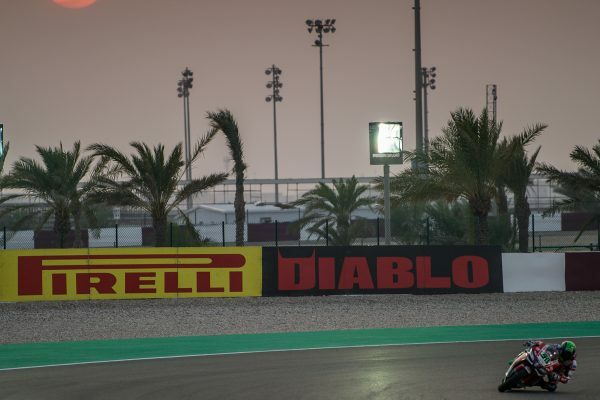 Both Gulf Althea BMW and Milwaukee Aprilia teams enjoyed excellent points finishes in Qatar, as the 2018 World Superbike Championship (SBK) came to a dramatic end in the desert. The second race was abandoned after phenomenal thunderstorms forced the organisers to make a tough decision and call off the race, which, for both Gulf teams, was a shame, as both bikes would’ve enjoyed a front row start. According to SBK rules, the top-three in race one are demoted to row three for the start of race two; therefore, Eugene Laverty and Loris Baz, whom finished fourth and sixth respectively, were denied their opportunity to lead from the front and their quest for a victory. 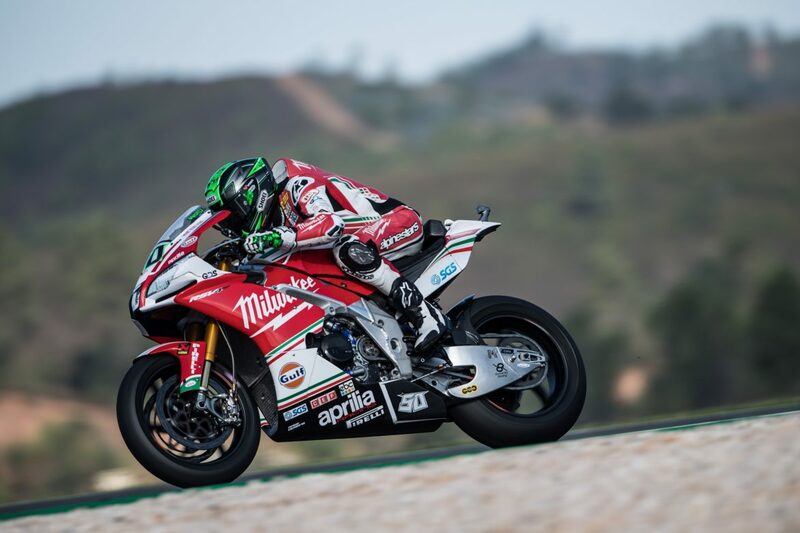 Both riders enjoyed strong races, with Laverty, clinging onto a podium place, defending robustly against the charging Alex Lowes; however, with his front tyre giving up in the final embers of the race, Lowes was able to nab third-place on the last lap. While disappointed not to end the season finale on the podium, the Northern Irishman won a significant haul of points for himself and the Milwaukee Aprilia team. Laverty, with a pole position and two podiums this season, finished in eighth position in the championship standings. Meanwhile, French ace, Loris Baz, ended his campaign in the fashion that his second-half of the year merited with another sterling display. The 25-year-old charged through the field, a run that included a pair of overtakes on Ducati’s Chaz Davies and Yamaha’s Michael van der Mark in a single lap. Loris Baz enjoyed a double-points finish in Argentina. There, he and the other Gulf other riders were visited by a strong contingent of Gulf Oil Argentina guests. Loris’s best weekend of the season at his home race in Magny-Cours, narrowly missed out on top-10 championship finish, but had luck been in his favour during the first half of the season, the Frenchman would have been comfortably higher. He finished just a point behind Laverty’s team-mate, Lorenzo Savadori, who finished 11th in Qatar. 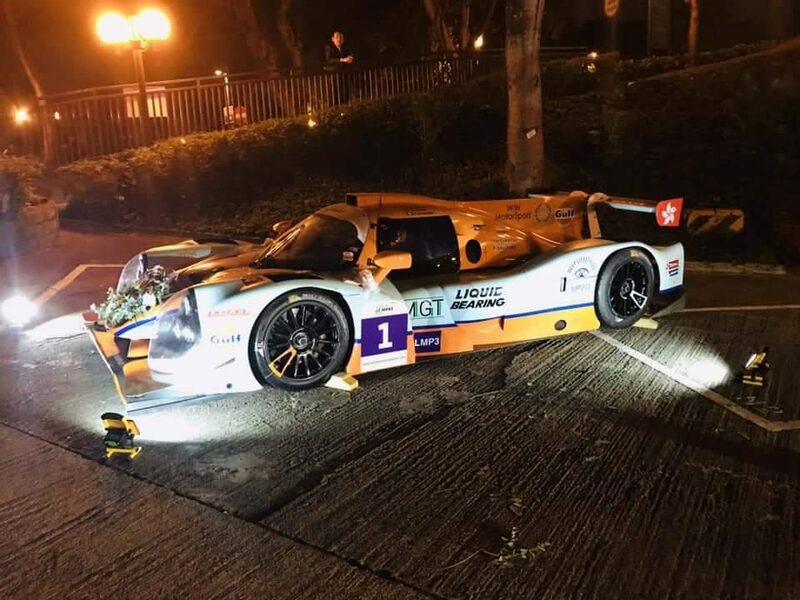 Luck wasn’t on the side of Gulf Racing UK during the fifth-round of the World Endurance Championship (WEC) at Shanghai. 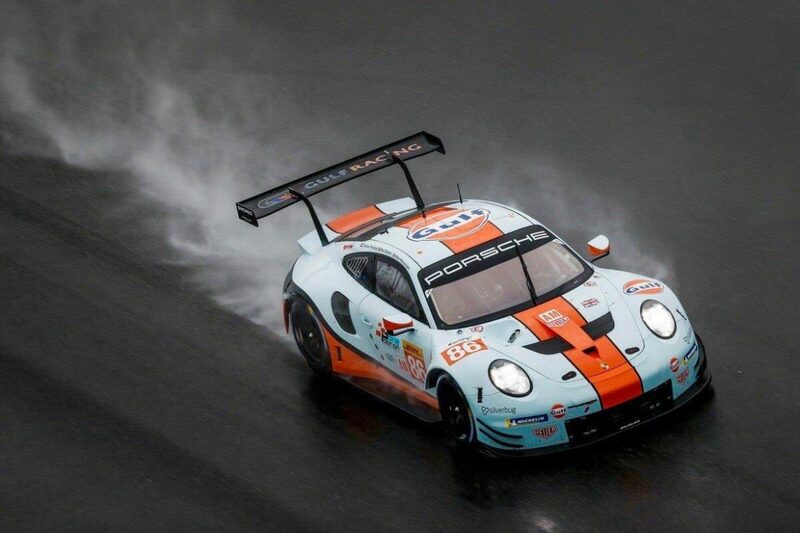 In a race that was twice stopped for around an hour because of the extremely wet conditions, the Gulf Racing Porsche 911 RSR – piloted by team-owner, Mike Wainwright, and team-mates, Ben Barker and Austrian rising star, Thomas Preining – veered off the track twice leaving the trio with too much ground to make up. They finished ninth in the GTE-Am class (30th overall). 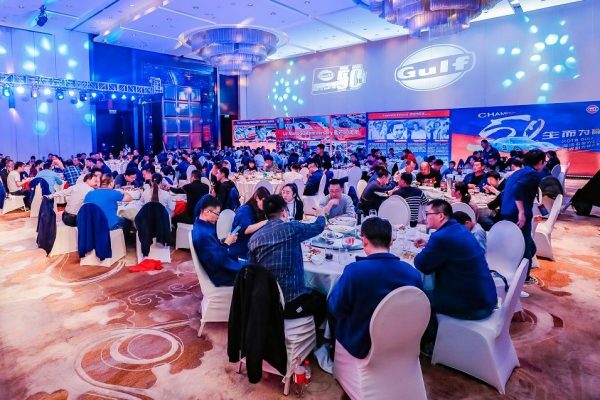 Off the track, however, it was a different story for Gulf, as 145 guests of Gulf Oil China enjoyed the ‘Born to Win – Champion 50’ gala dinners in Wuxi and Shanghai – despite the heavy downpour during the rain! 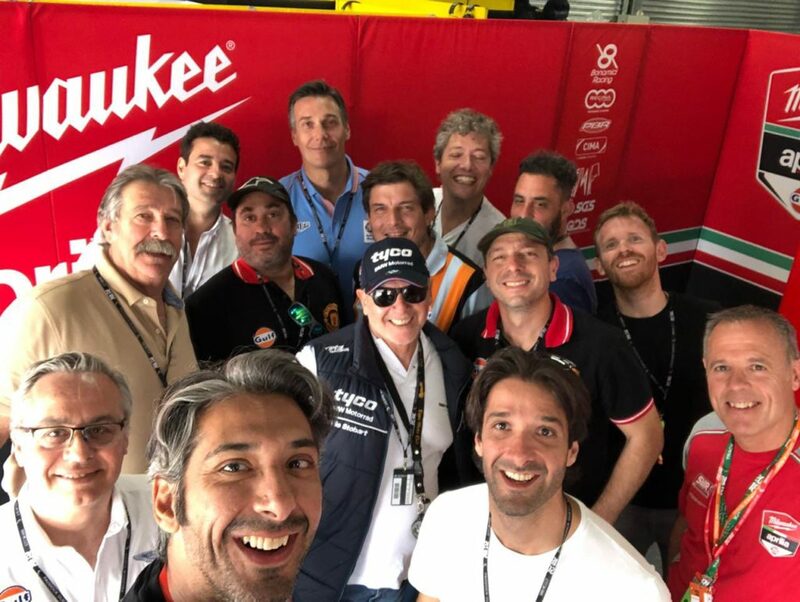 – while another 20 VIP guests were treated to a garage tour, with many praising Gulf for the ‘unique experience’ it afforded. Gulf also hosted a sizeable media party over the race weekend. The race result in Shanghai was in sheer contrast to the brilliant battle witnessed between Gulf Racing and Spirit of Race Ferrari at the previous round in Fuji. As the race unfolded, with the lead going back-and-forth between the two teams, Gulf’s rivals managed to put in some quick laps and eke out a gap. Eventually, the trio delivered a competitive performance, racked up 201 laps and narrowly missed out on a podium finish by taking the chequered flag in fourth-place in class (26th overall). The WEC now takes a winter break, before the lights go green at the 1000 Miles of Sebring in Florida, United States, on Friday 15th March. 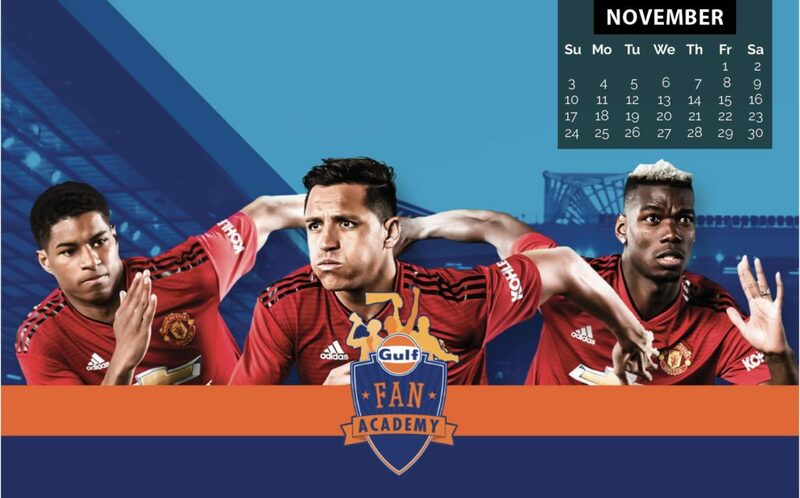 Manchester United fans from around the world have been filming and sharing their entries to become members of the Gulf Fan Academy, as they competed to win a once-in-a-lifetime opportunity to attend a match at Old Trafford. The blindfold challenge proved very popular – even Gulf Oil Ambassador and Indian cricket superstar, Hardik Pandya, has had a go, with his effort attracting almost 700,000 views so far. 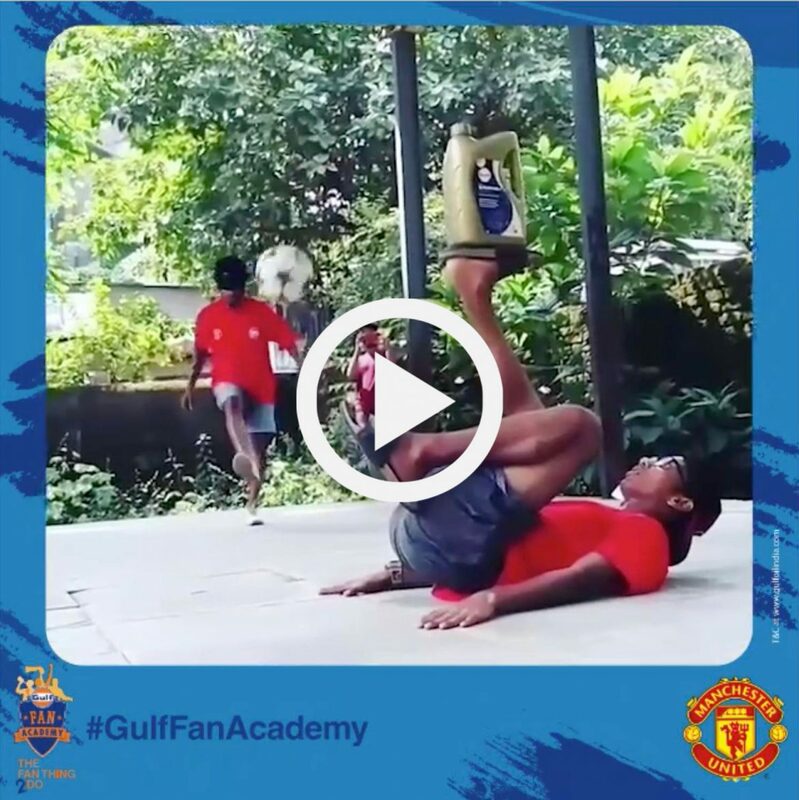 The aim of the challenge is to hit a standing bottle of Gulf Oil with a football – blindfolded – in the most creative way possible. Fans went to some extreme lengths to stand out, including backheel flicks, rabona flicks and ricochets off walls. Q: Could you give us an insight into the club’s history? MK: “The Highlanders are one of five professional rugby teams from New Zealand that competes in the Investec Super Rugby competition. A special alliance was formed in 1995 between the three provincial rugby unions south of the Waitaki River. “This alliance was named the Otago Highlanders, and it was formed in order to do battle in the new Super 12 competition the following year in 1995. 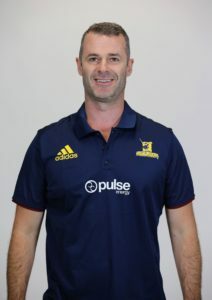 After five years in the competition, Otago was removed from the name; since then the team has been known simply as the ‘Highlanders’ – a name which fully acknowledges the power of the three unions and which better reflects the Highlanders’ region as a whole. 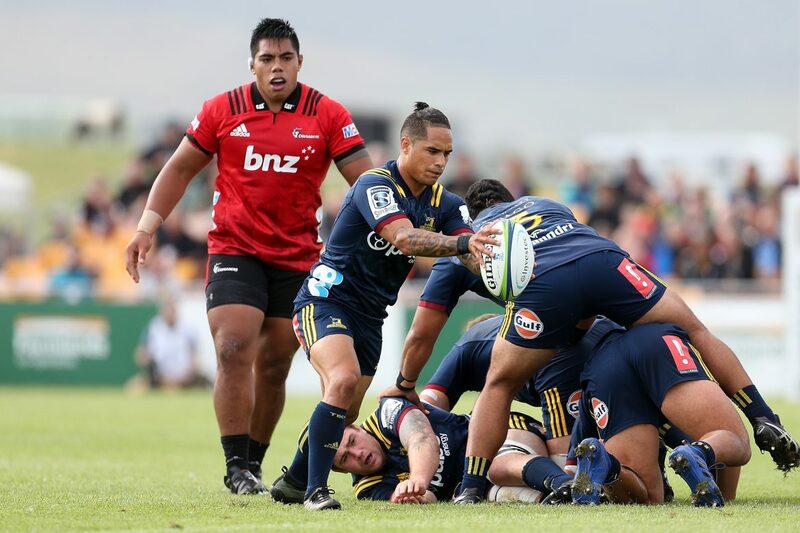 Q: With a new season on the horizon, what are the Highlanders’ objectives for 2019? Q: Gulf has just renewed its partnership with Highlanders for another season – what opportunities for Gulf would you like to spotlight? Q: How would you hope to see the two brands working together? MK: “Gulf stands for quality, passion, endurance, and these are all characteristics of the Highlanders and Super Rugby. A high percentage of Highlanders players are part of the All Black squad (the New Zealand national Rugby Team): the best in the world. Super Rugby, meanwhile, is the toughest and most fierce sporting competition on the planet. Q: What current Highlanders players should fans look out for? Q: What do you do in the off-season? 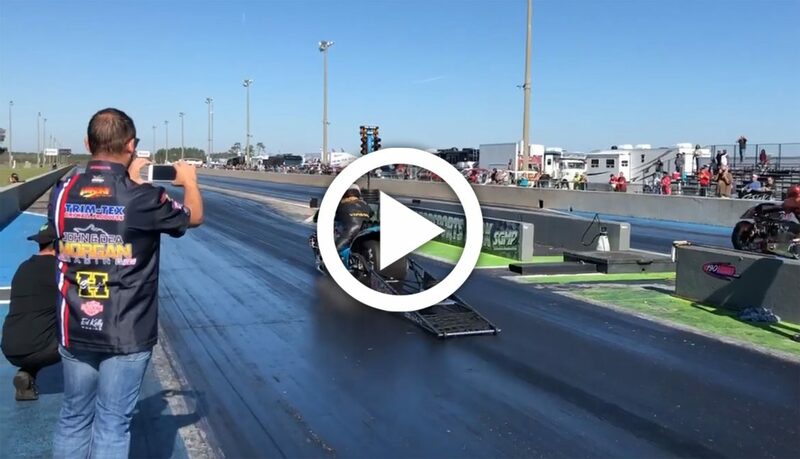 Ian King came out of retirement for a one- off ride on the Gulf Oil DragRacing Top Fuel bike at the Manufacturers Cup Final, last weekend, at the South Georgia Motor Park in the USA. The 10-time Top Fuel European Champion felt he had “unfinished business” after last year’s campaign in the USA and now-regular rider, “Fast Fil” Papafilipou handed back the bike to its creator and long-time pilot, Ian King, for an end of season trip to the USA. Here Ian was to take on the cream of the American Top Fuel racers and although the Gulf DragRacing Bike is reportedly the World’s Most Powerful Motorbike, neither Ian or the Bike have really previously had enough track time in the USA to fully get used to the tracks and the set up necessary to run the sort of times that they had regularly posted in Europe. This time, however, the 1500+BHP fire-breathing monster – which always runs using regular Gulf Road Lubricants – was to give a performance much more in keeping with those we are used to seeing. Ian progressed to the Finals – on the way defeating multiple American Champion, Larry McBride – and, in the process, posting two runs under the magic 6-second barrier, showing that he had lost none of his speed. Sadly, set up problems for the Grand Final, caused huge “tyre shake” and meant that Ian had to shut off the bike throttle, in order to make it safely down the track, which handed victory to Mitch Brown (in a time that was slower than any of the runs Ian had previously posted on Finals day). Regardless of this final run, “The King” had proved that he was undoubtedly back and, judging from all of the social media posts, the Gulf bike and its rider had again won over the hearts and minds of a very partisan American crowd. 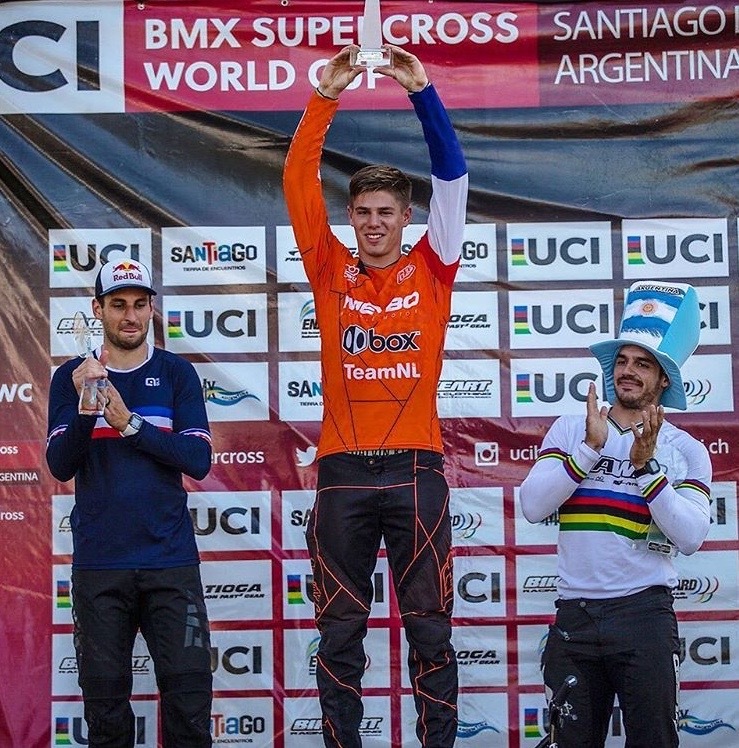 Gulf Netherlands’ BMX star, Niek Kimmann, is the new BMX Supercross world champion following a sixth-place finish at the season finale in Argentina. The 22-year-old, wearing his Gulf-themed overalls, battled in what was a fiercely-contested final, and the unthinkable almost unfolded after he locked-up while heading into a corner in an attempt to move himself up through the field; however, he regained his composure, picked up speed and recovered to cross the line safely. Despite finishing down the field, behind his closest rivals, the Dutch star secured the points needed to ensure Gulf has a new world champion. A video from the historic weekend can be found on Niek’s YouTube page, which, so far, has received more than 12,000 hits. In other news, Niek and his brother, Justin, are the stars of a new Gulf advert, in association with Gulf Nederland. Titled #drivenbypassion, the brothers share their story of how they started from humble beginnings to become the best BMX riders in the world. Dressed in their Gulf attire, they talk candidly about their drive, work ethic and passion from the Olympic Training Centre Papendal in The Netherlands. 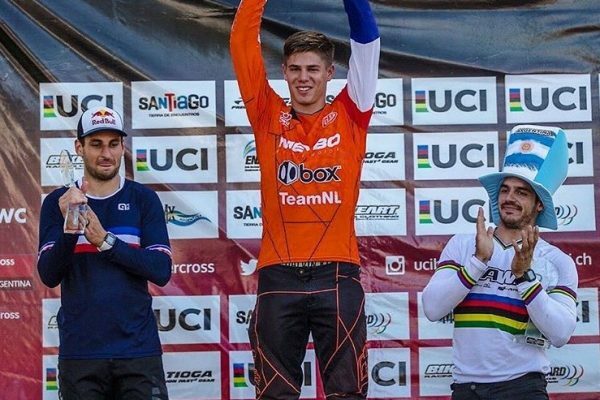 The three-and-a-half-minute video, which also shows the two riders pounding around a BMX track, has been uploaded to Niek’s YouTube channel. 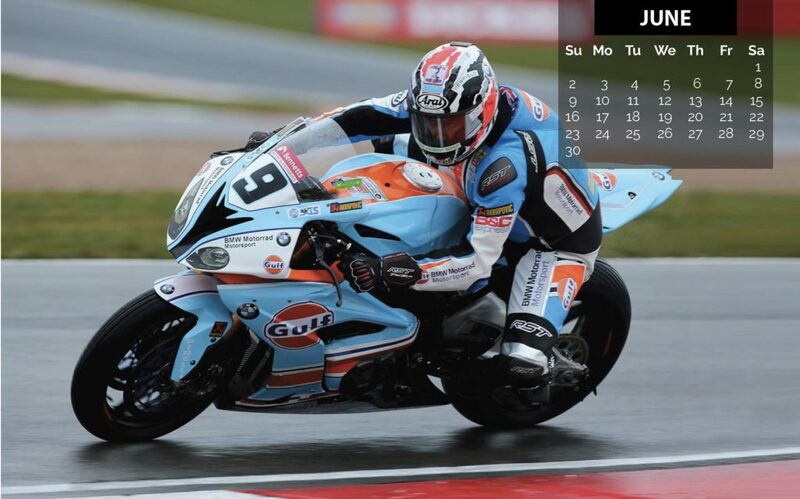 BRITISH TALENT CUP CHAMPIONSHIP ENDS WITH PHOTO FINISH! The inaugural British Talent Cup, where Gulf is a technical partner, came to an incredible conclusion in Valencia, as the race involving the two title contenders was decided by a photo finish. Thomas Strudwick won the race, pitching the drag-to-the-line to perfection to steal the victory from rival, Rory Skinner. Despite the result, Scotsman Skinner was still crowned the first-ever British Talent Cup champion after only needing a second-place finish to guarantee the title. As part of the relationship between Gulf and Dorna, the organisation behind both MotoGP and the World Superbike Championship, Gulf’s Syntrac 4T Superbike 5W40 lubricant is a crucial ingredient within the Honda 250cc Moto3 bike make-up. The championship is billed as the perfect stepping-stone for the best young riders from the UK to earn their stripes and make a name for themselves on their path to MotoGP. As the bikes are identical, it is down to the pure skill and race-craft of each pilot to stand out. 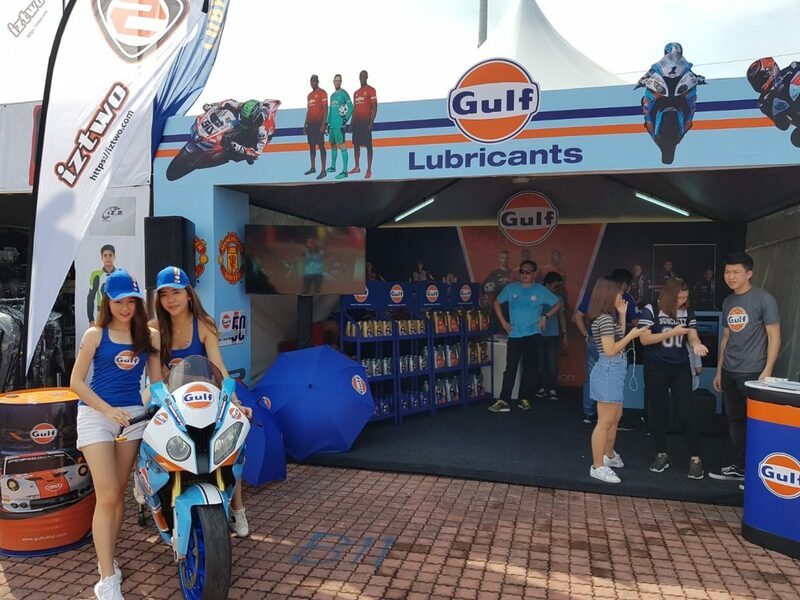 Hundreds of MotoGP fans visited Gulf Oil South-East Asia’s (GOSEA) stand at the recent Malaysian Grand Prix. The stand was popular among spectators, with a games console set-up on the big-screen within the covered stand, allowing visitors to tackle the Sepang track by taking control of their favourite rider. Gulf merchandise was also available to purchase, with mugs and caps proving particularly well-liked, while fans could pose and have their photos taken with a Gulf grid girl and a replica Gulf superbike. 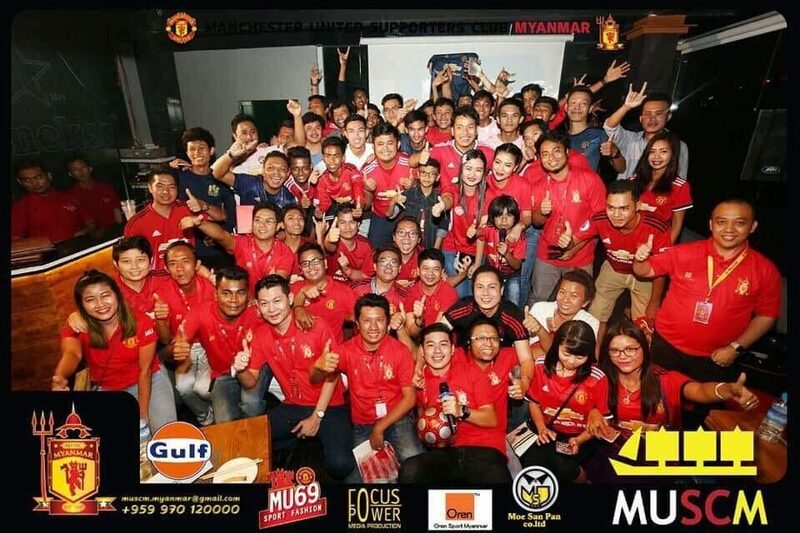 Manchester United Supporters Club Myanmar welcomed Gulf through the doors of the packed-out Vista Rooftop Bar to watch United in action against Bournemouth and invite fans to take part in a series of challenges. Spirits were high after Marcus Rashford scored the winner in the final seconds of the match, and the celebrations carried on for hours afterwards, with devoted supporters taking part in a series of games to win prizes. 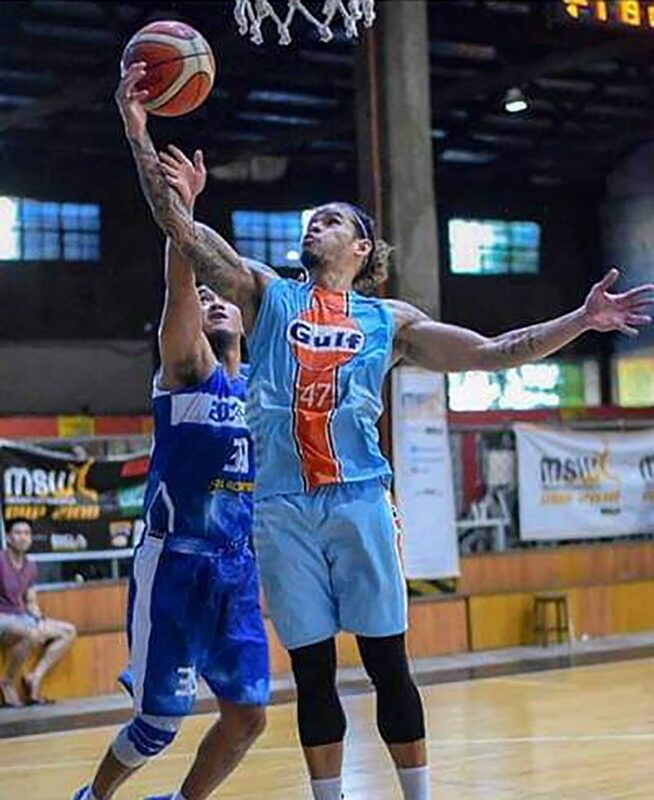 The Gulf Supreme Boosters’ run of victories has come to an end, despite a valiant effort against a formidable Phenom team in the quarter-finals of the Liga Manila play-offs. 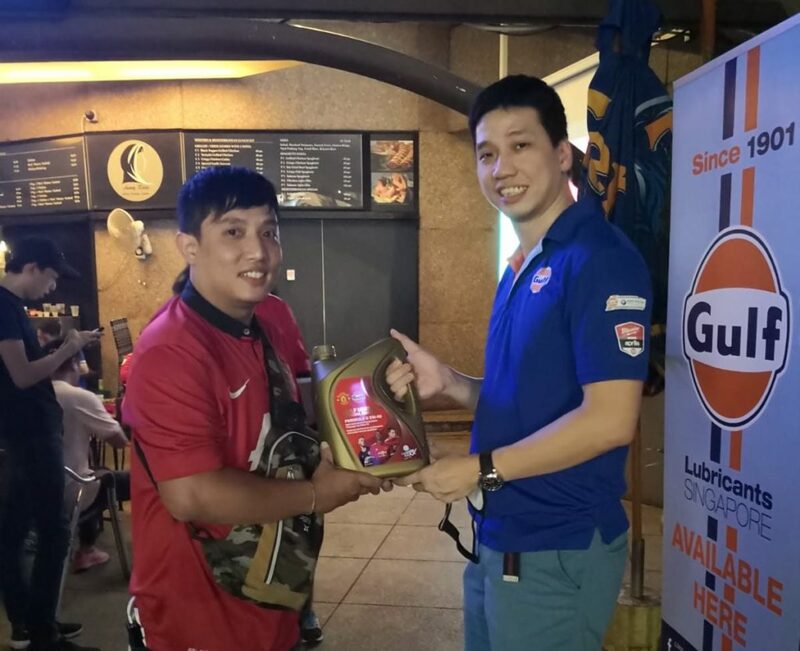 However, Phenom’s fast passing and shooting accuracy were too much for Hubalde and his team-mates to handle, as the Supreme Booster were eventually went down 115-95. 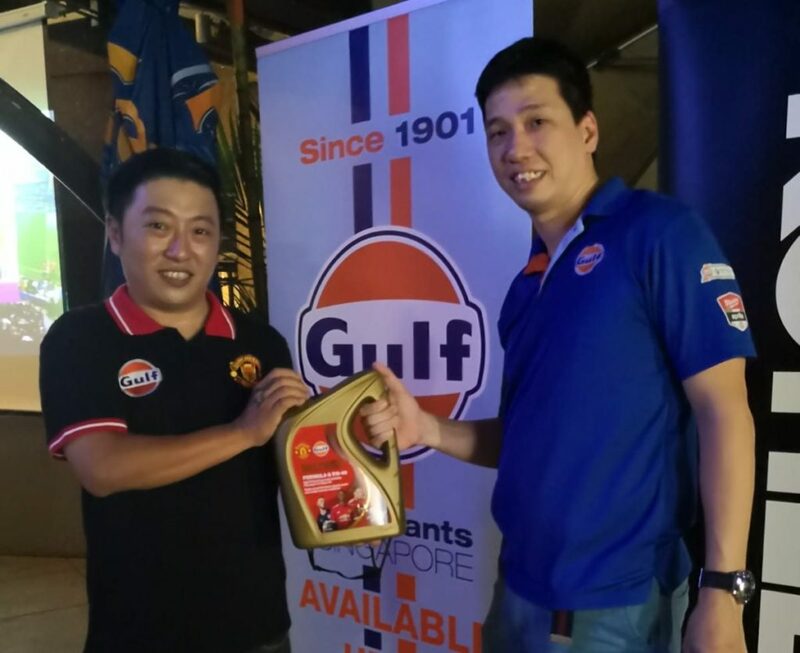 Nonetheless, the team have done themselves and Gulf Oil Philippines proud. The annual off-road marathon that is “The Dakar” is less than two months away. This year it will cover around 5000 kilometres of the most testing terrain known to man, as it winds its way through Peru. Gulf will be represented in the event by Juan Jose Puga, who is sponsored by Gulf’s Ecuadorian distributors, Lubrisa. The event will test, man, machine and lubricants to the extreme! 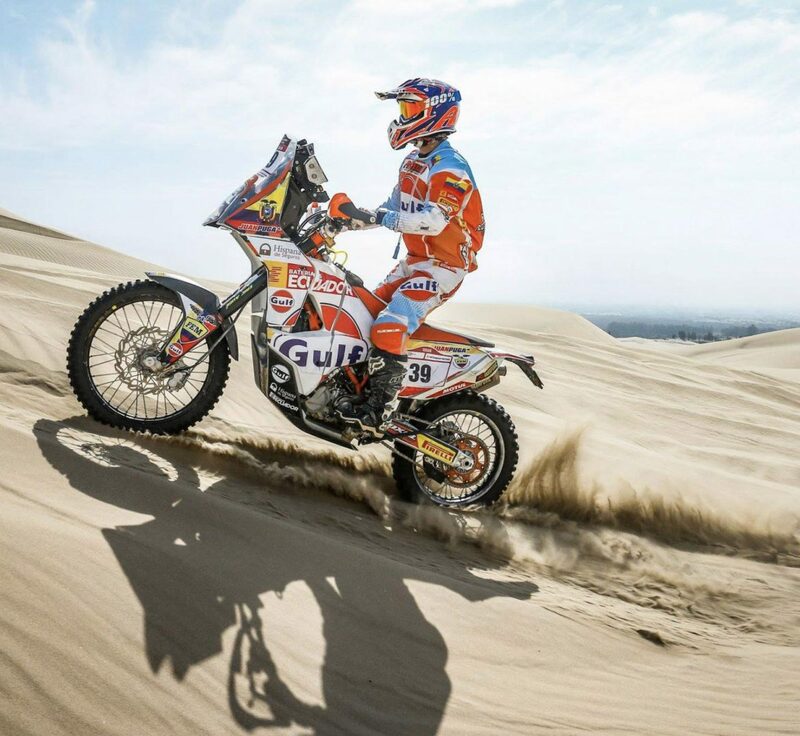 An experienced motorcycle competitor, Jan Jose has been training hard for this gruelling event, much of which takes place in desert terrain… as can be seen from the images. 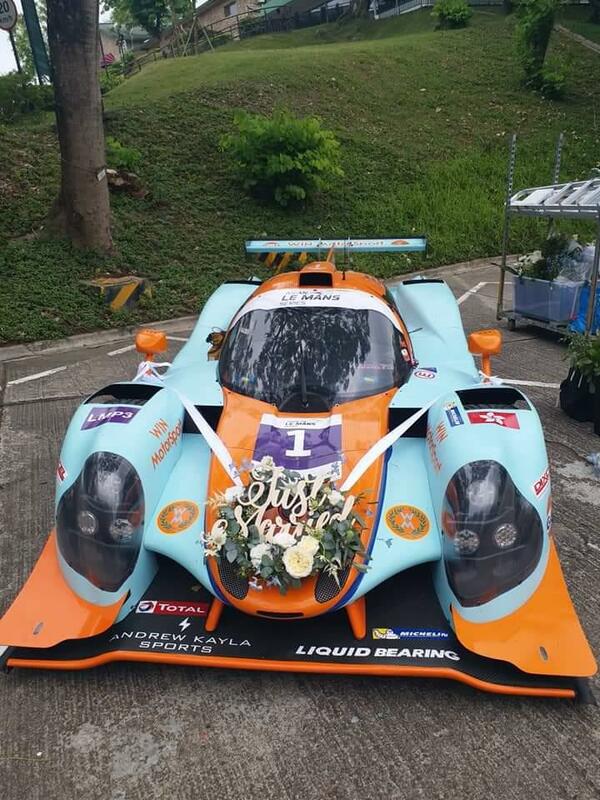 A Gulf race car was part of the procession and was dressed for the occasion, as WIN Motorsport founder, William Lok, married partner, Christine Kuo in a ceremony in Hong Kong. 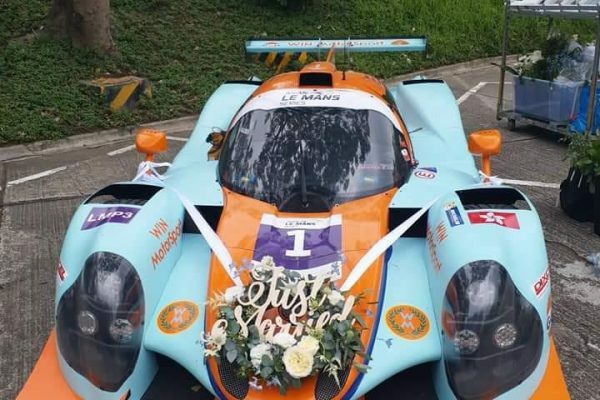 The Asian Le Mans Sprint Cup LMP3 winning car looked resplendent as always in orange and blue livery, but, in a twist, it was decorated with flowers and wedding bunting. Mercifully, it didn’t steal the thunder of the bride! 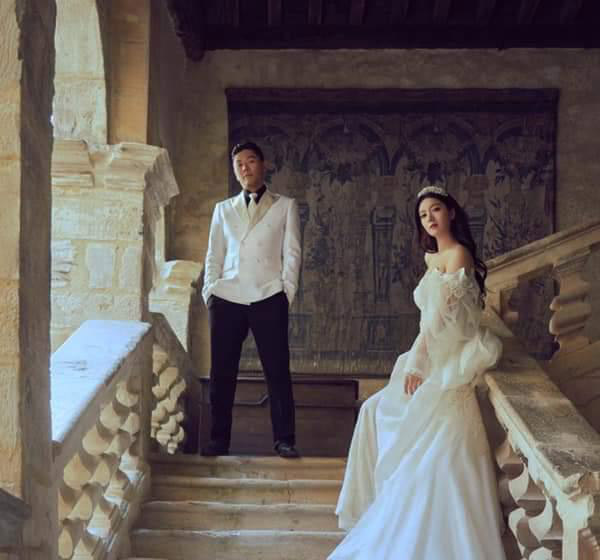 Many congratulations to the new Mr and Mrs Lok. 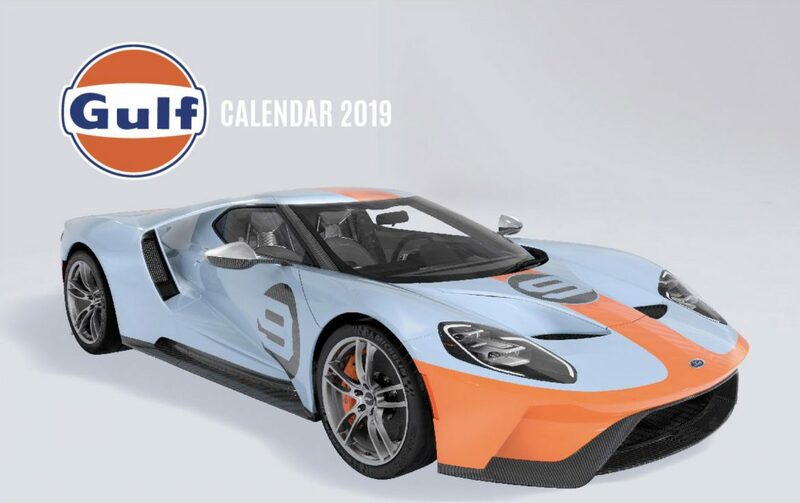 GULF 2019 CALENDAR OUT NOW! 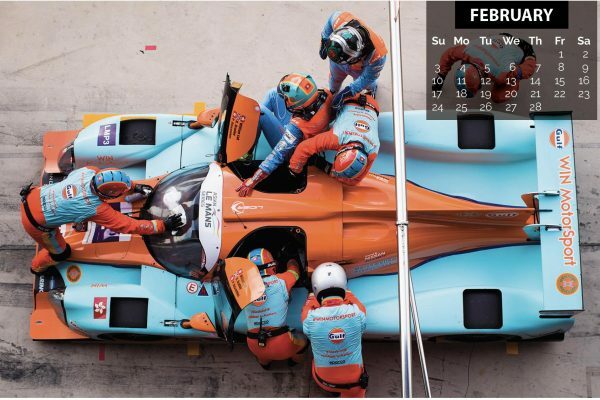 Gulf has been looking back through the photo albums, picking out the best shots from a memorable year to put together the 2019 Gulf calendar. 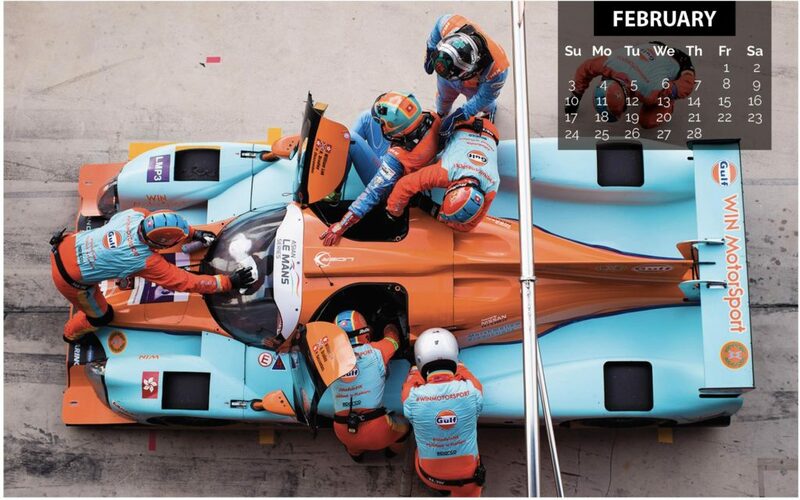 Spectacular moments featuring Gulf from the Isle of Man TT, Le Mans and Asian Le Mans series, World Superbikes, along with Manchester United and Manchester United Fan Academy, all feature in the stylish 12-month run-down. There are two different formats – a desk calendar and a wall calendar and both are available to download in print-ready PDF format. 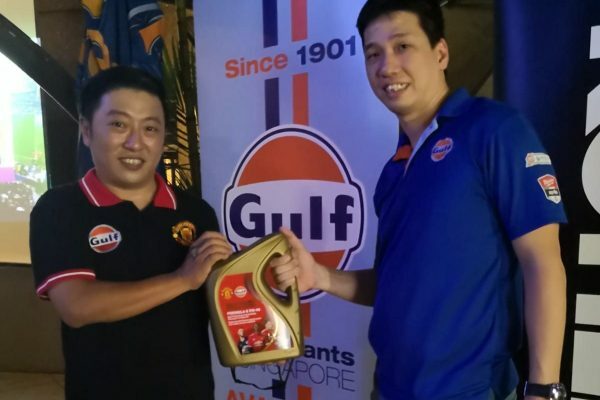 Personnel from Gulf Oil Singapore were wearing blue among a sea of red, as they gate-crashed a Manchester United supporters club during a recent match. While an invasion of blue wouldn’t usually go down too well with Reds supporters, it was very good fun among the crowd, as volunteers took their turn to compete in the Gulf Fan Academy ‘blindfold challenge’ and pose for photographs. Afterwards, everyone took their seat to enjoy the match! 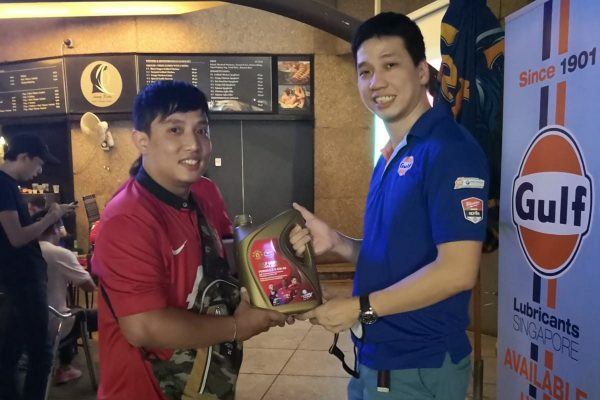 Gulf also ran its own “Red Army Supporters Club” event in Malaysia with some 50 fans joining Gulf Oil South East Asia staff at as local coffee house. Each of the attendees were treated to free gulf t-shirt and bag. A Q&A session accompanied the match (which United won!) and everyone who came was put into a prize draw for a shirt signed by United Legends, David May, Denis Irwin and Dwight Yorke. 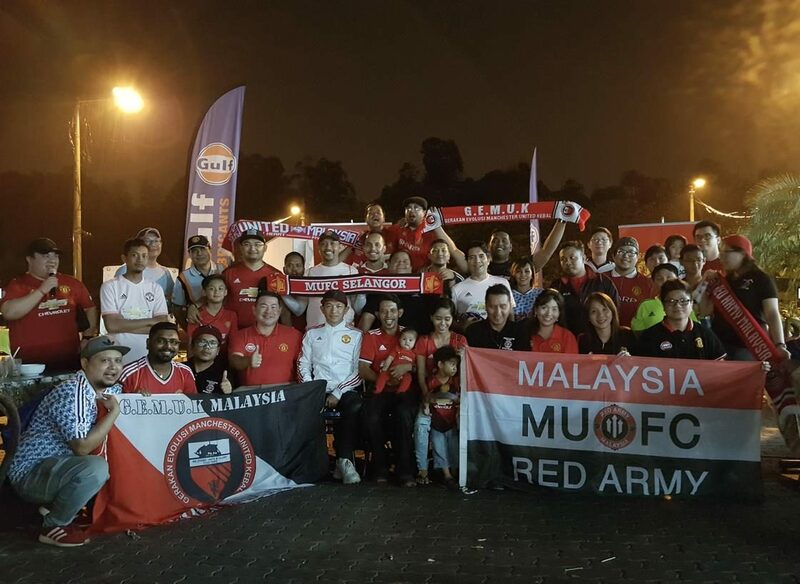 The first Malaysian fan event proved to be a great success and GOSEA now plans further such match viewings.